This is where we call home…currently. We’ve been known to move from time to time, but we have been here for over two years, and absolutely love it. So who knows, we might stay a while. 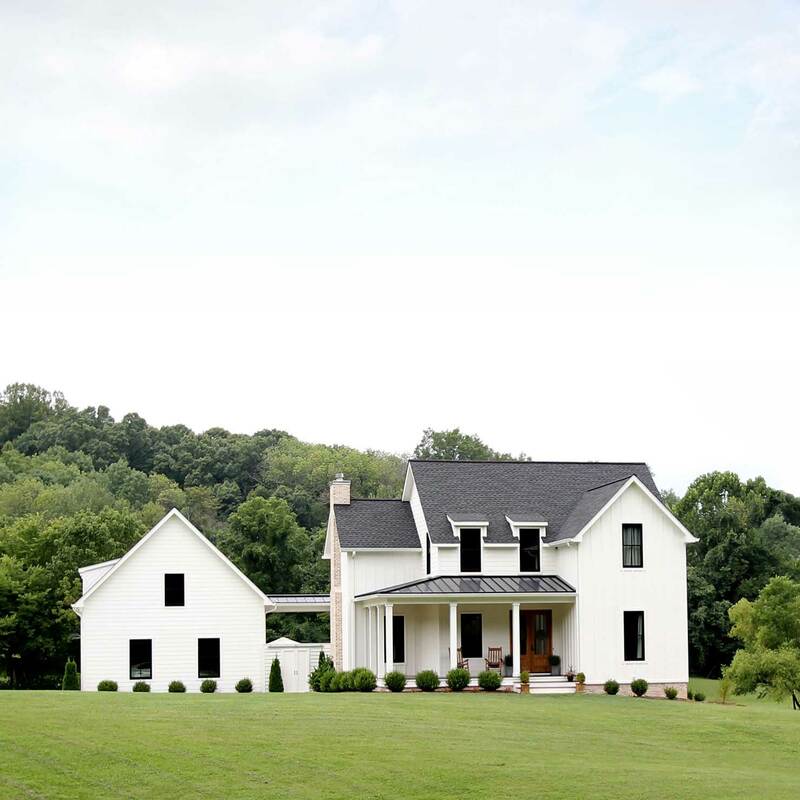 In this post, which will be the first of several home tour articles, I want to show you around the exterior of our house and share some of the thinking behind what we did. Every year we go to Isle of Palms, SC on vacation. It’s located right outside of Charleston. We’re always inspired by the beautiful white modern/costal farmhouses you’ll find there and on neighboring Sullivan’s Island. Our idea was to borrow a lot of those elements and use them on our new house here in Tennessee. If you have ever built before, you know that finding a plan can be nerve racking. You want to get a plan that is perfect and meets all your needs, but it’s easier said than done. You almost always have to make a compromise somewhere. 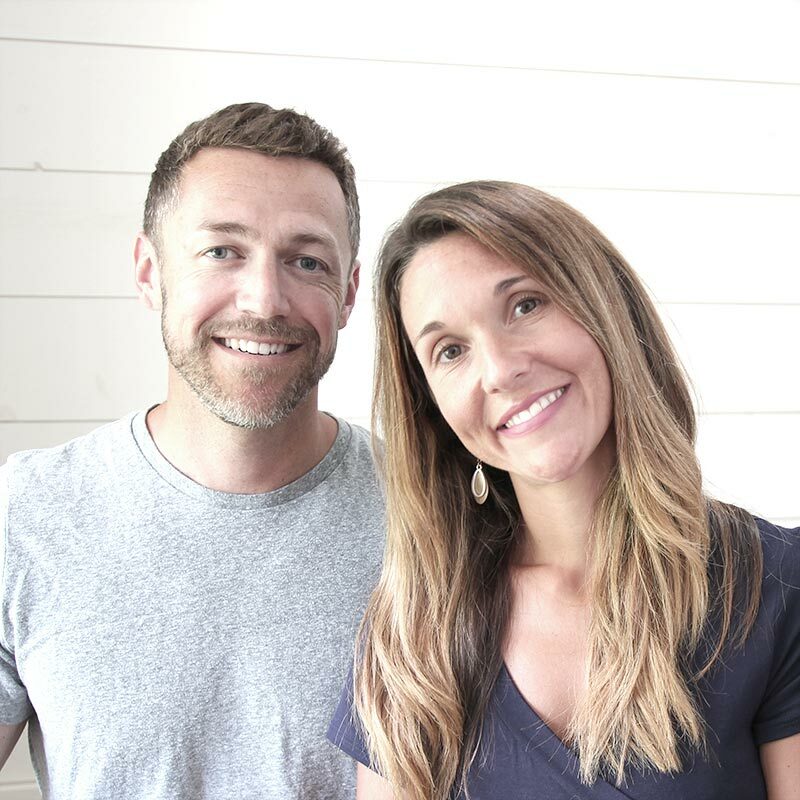 At one point we considered hiring an architect, but ultimately decided against it since we had never went that route, and to be honest, we were a little intimidated by the process. So we ended up finding a plan online called Mama Crovatt’s House. It was extremely close to what we were wanting and definitely had that farmhouse vibe. Of course we did make a tweak or two to the plan, like adding a garage. Ok…that’s more than a tweak, but it was necessary since the plan didn’t include one. 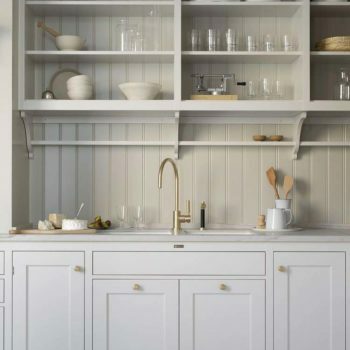 Clean Lines: If you choose the right plan, this takes care of itself. 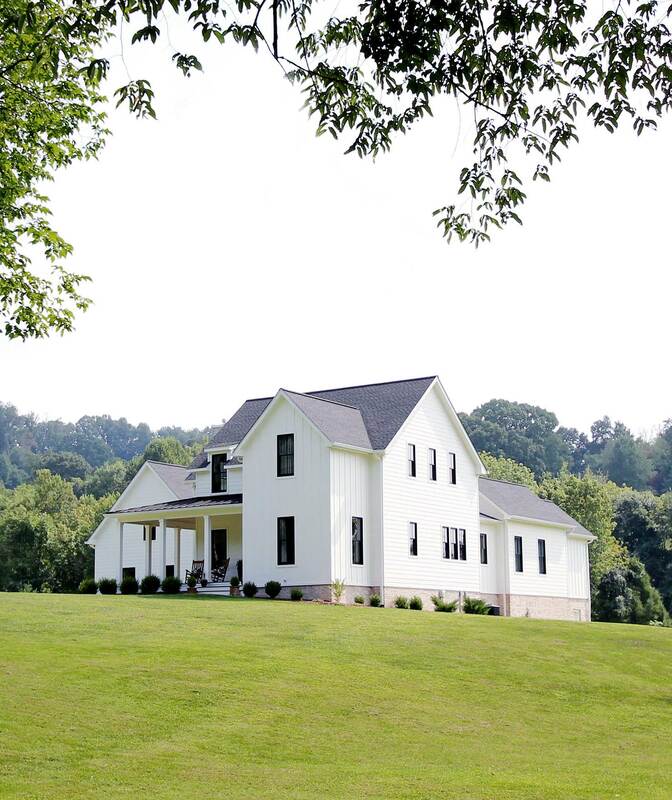 Farmhouse’s typically have simple lines. 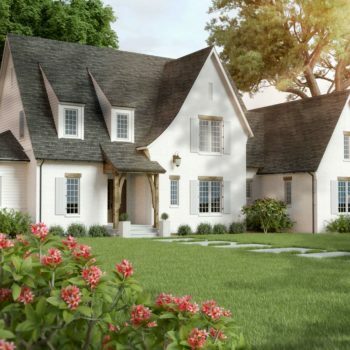 And you can take it a step further by avoiding ornate details, keeping things simple and using white as your exterior paint color. 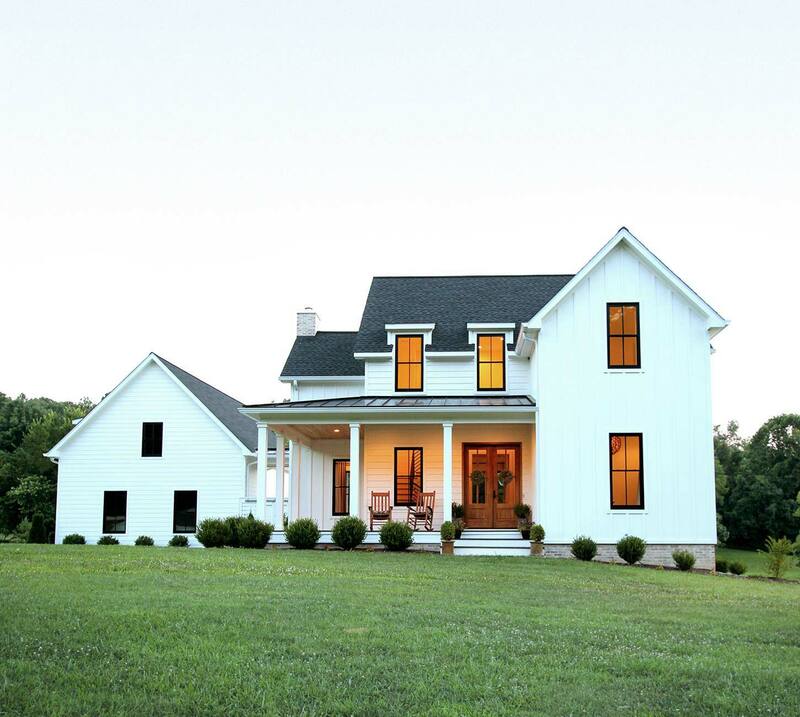 And nothing says “farmhouse” and “modern” like white. But we didn’t want to go too bright with the color. So we chose a white that had some creaminess to it. It’s called Cream Delight by Valspar. Mixed Exterior Siding: We were originally going to do the whole house in board and batten, but after we saw how labor intensive it was, we decided to give our building crew and budget a break by taking a different approach. We decided to alternate from board and batten to lap siding on the different sections of the house. Black Windows: They aren’t a must, but I think it definitely helps with the modern look. Especially on an all white house, you need something to pop. And it creates such a clean and crisp look. When we told our building supply sales rep, we were doing black windows he though we were crazy. It’s hard to believe that just two years ago, black windows were such a new idea – at least in our area. And actually, you still don’t see them being used often where we live. We ended up going with Plygem. They were the best combo of quality and affordability. As you will see in upcoming home tour articles, that we also have black windows on the interior. Doing this was very rare, and the price reflected it. So to save money, we went with unfinished wood on the inside and painted them black. Standing Seam Metal Roof: We wanted so badly to do a galvanized metal roof on the whole house, but the budget did not allow it. So we opted for black architectural shingles on the house and black metal on the front porch, back porch and breezeway. Industrial Lighting: We really wanted the lighting on our garage to make a statement. 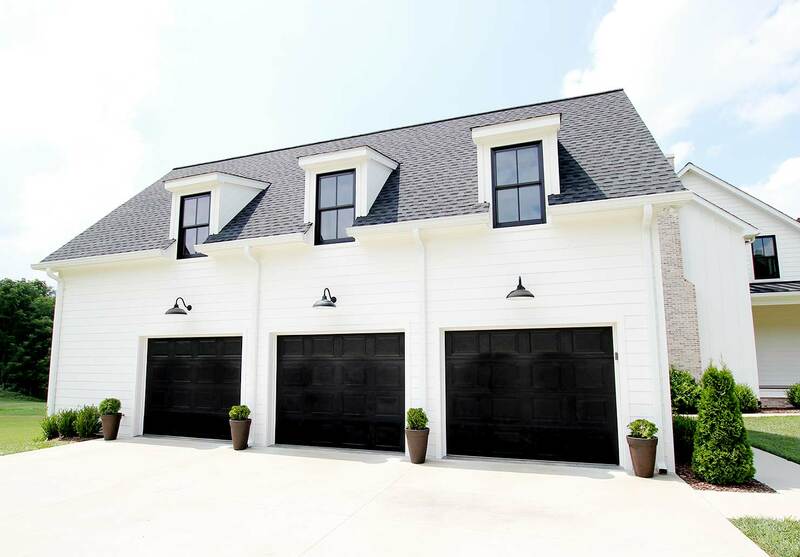 We went with oversized black gooseneck lights above each garage door, which we found on Houzz. To add some contrast with all of the white siding, we incorporated some wood elements. On all of the porch ceilings we used pine tongue and groove planks. For the porch decking we were originally going with an engineered material. But when it arrived on site, we could see that it had too much of an artificial look. So we opted for plain ole pressure treated decking, which ended up being much cheaper. We finished with Cabot Gold, which gave it an almost interior hardwood look. 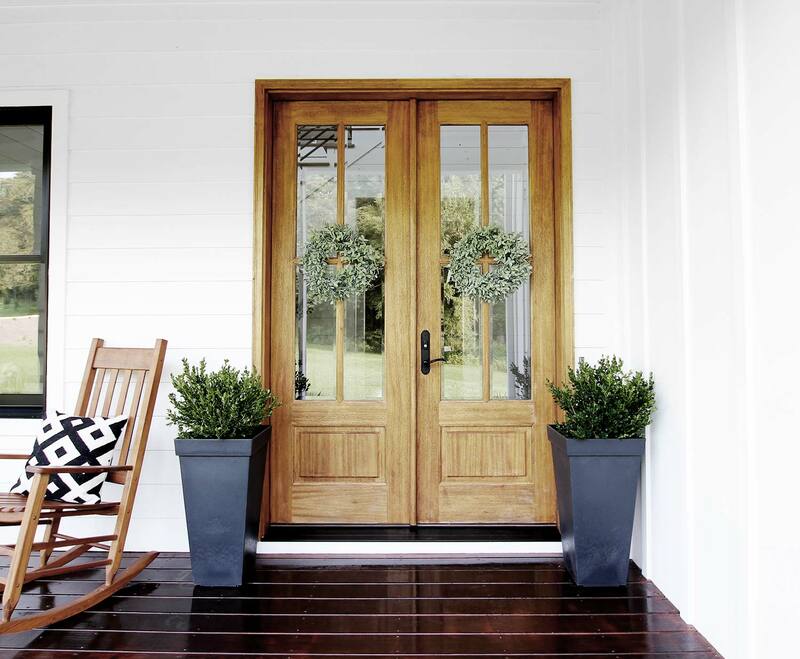 The front door and back porch door are mahogany with a clear coat of polyurethane. The pool area is tucked away between the garage and the house, which gives us lots of privacy. To add more “modern”, we decided on a simple rectangular shape. It’s surrounded by 2′ x 2′ travertine tiles and then pavers for walking area and a place to put our out door dining area. The rest of the area surrounding the pool we sodded for some added greenery. Our pool guy thought we were crazy for doing this, but we love the look, and it’s a breeze to take care of as long as you have a bag mower. The swing bed on the porch was a DIY project for Henry. He built it shortly after we moved in. It was made to fit a standard twin mattress and we ordered the cover from World Market. He had made one for our previous house, but unfortunately the new owners wanted us to leave it. But to be honest, I don’t think Henry cared too much. He was itching for a new project. He’s also getting ready to build one for my mother. Although it might be a different design. He’s going to document the process and we’ll be releasing a tutorial here on the blog. That’s it for the exterior tour. If you have any questions about what you’ve seen in this article, feel free to leave a comment below. I’ll be showing the inside in our next home tour post. Beautiful home! We are in the middle of a build and are currently exploring our window options. I know you mentioned that you used plygem windows but would you mind sharing which series you ended up going with? They are MIRA PREMIUM SERIES double hung. Please let me know if you have any other questions. Your home is beautiful! Love that you are doing a blog and sharing all the details with all of us. I am sure this is going to be one of my favorite blogs 🙂 Keep up the amazing work! Hi Shelley. Thanks so much! Those are encouraging words and just what I needed to hear. LOVE your home!! have been following you on instagram for inspiration as we get ready to build. We are actually in Charleston : ) (James Island) Of course I love cruising the old village Mt. P and Sullivan’s Island for ideas as well! Hello Shannon! We are so glad that you have been following along with us! I know exactly where James Island is and love that area. So excited that you all will be building soon and can use our home for some inspiration. We hope to get several more articles up soon along with more parts to our home tour. This may be helpful also. Thanks so much for joining us! Beautiful home. 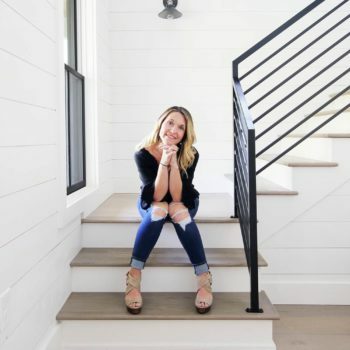 Building a modern farmhouse in AZ. What stain did you use for your pine t&g? Hi Chelly. That is awesome! I’m sure you are excited. We’ve not put anything on the t&g yet. So it is all natural. We were afraid to commit to a color and really liked the natural unfinished look on the ceilings. Hi Jennifer. Great to hear that you are building. It is an exciting process for sure. And I feel your pain on the metal roof. It totally changed our vision for the house, but we are very happy with the way it turned out. As for the colors, sorry about that. I thought we had included them in the article. I’ll add them. The exterior wall color is Valspar Cream Delight, and the roof is GAF Timberline Charcoal shingles. I’m so excited to find your blog! I’m making my final changes in the Mama Crovatt’s floor plan. 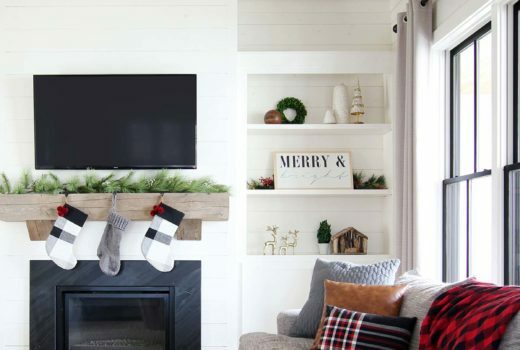 I’d love to see more of what the interior of your farmhouse looks like! Hi Charity. I’m glad you found it too! That’s exciting that you are getting ready to build. We’re working on some interior home tour articles for the blog, but in the mean time, you can check our our Instagram account. Anyway they you might share your plans with someone and maybe the sq ft. WE just purchased a large track of land and in the process if clearing spot and drive way. 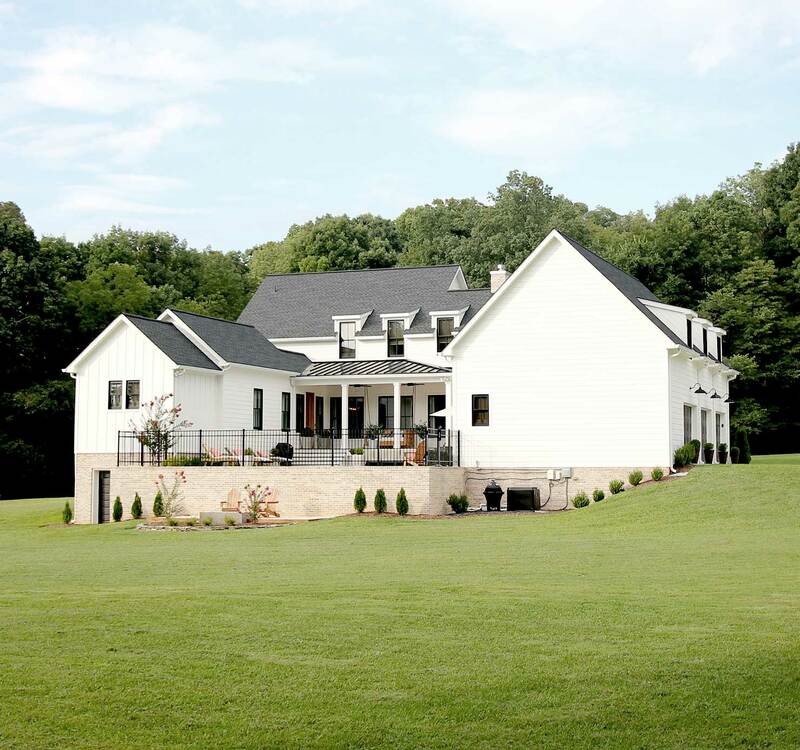 Wife loves modern farm house and would love to see the plans. 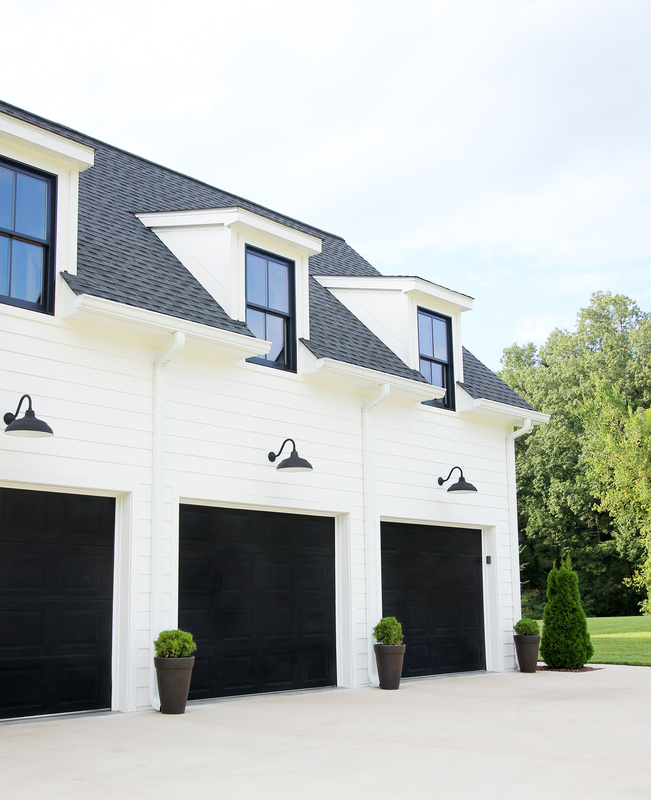 Did you use a particular black for the windows or just the manufacturer’s color? I’m struggling with finding the right black. Some are too gray, others pull blue or green, and for some reason true black looks too severe and not rich enough. Hello Lisa! They are just the manufactured color black. Not sure if they even have a name for the color other than black. They are plygem windows. Hello. Just found your site and love all of your articles and info. Your home is lovely. I particularly love all of it’s clean lines. We are building on some acreage and are looking for something that is less upkeep than our now 1940’s built craftman’s house that is loaded with character and tons of maintenance. My question is about your rear porch. 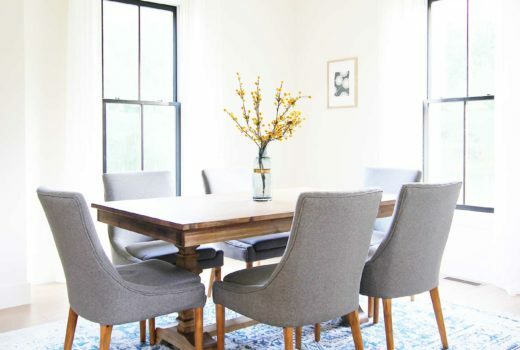 It seems a lot of plans we are looking at have, what I call, enclosed porches verses porches that are positioned more on the exterior of the house. I am concerned about porches that are blocked, therefore, must lose some of nature’s breezes, etc. 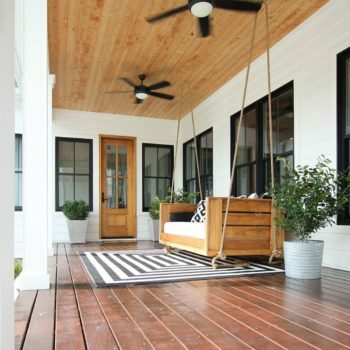 Does your rear porch feel more stuffy than your front porch and do you regret it being tucked away? Thanks so much for all of your information that you share. You guys truly have a gift. Hi Norma! We are very excited you have found us and glad you like our content! We appreciate your kind words and encouragement. The plan we chose didn’t actually have a garage, so we found a garage plan. Henry, my husband actually planned the porch and pool area to be tucked away in order for us to have privacy. We love the fact that it is private, but yet open in the back, allowing for us to see the beautiful scenery. The breeze does flow and come in nicely through the back though! Im thinking that most plans do this for a privacy thing, in which most people want that are building in a neighborhood. Considering you will have some acreage, you may not need this and may want a more open porch. Hi April. I’m glad you found us too! That’s so exciting that your building. Choosing brick is tough. We had a hard time as well, but ended up being very happy with our choice. We went with Aztec from General Shale. Hi guys! So glad I stumbled upon your blog on Pinterest! We are currently in the building process and our finishes are all very similar to yours. LOVE. We are only at the brick skirting point (good gravy, if it would just stop raining here in KY we should have been IN it by now!) My question is; why did you decide on decking for the porches as opposed to concrete? I have always wanted poured concrete for the porches but $$$$. lol Did you ever consider concrete or always planned for decking? Thanks! We’re glad you did too!! That’s exciting about your house, although I know it can be frustrating dealing with bad weather. 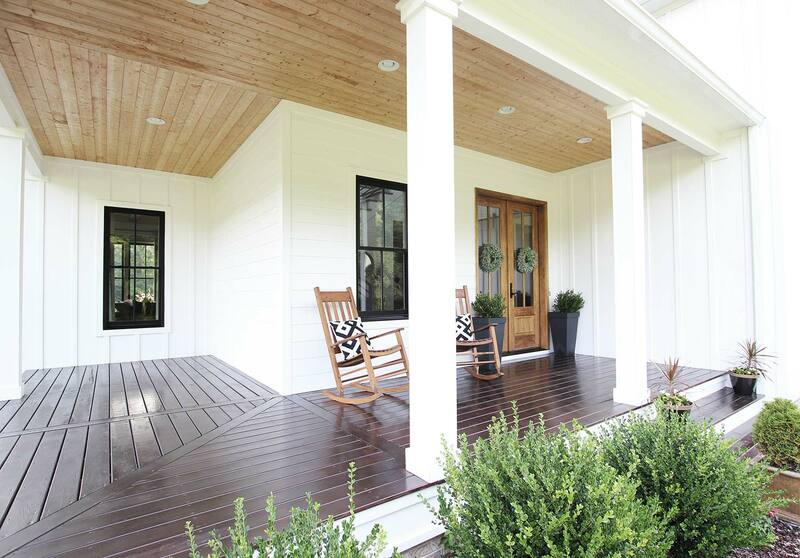 I wanted to go with decking to add another farmhouse element while saving money. Brooke actually wanted to do brick pavers, but I won out on that one. 🙂 Most of the farmhouses that I looked at for inspiration used decking of some sort on the porches. But I think either way you go will be great. Hey y’all! Love your blog! 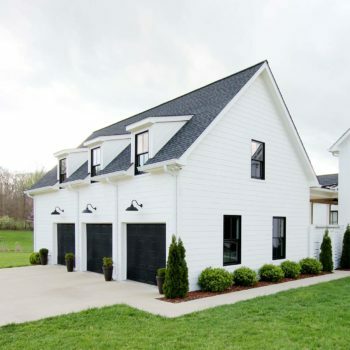 We are about to break ground on a modern farmhouse in the SC Lowcountry and have budgeted for black windows (outside and inside). After reading how you saved money by painting yours inside, I’m interested to know the exterior material (vinyl or wood) and did you use an oil based interior paint? Also, is the grid inside the panes or on top of the glass? Thanks so much! Hey there! Thanks! So glad you like it. We love going to the Charleston area. Are you by any chance building there? The exterior of our windows are aluminum clad, and grids are on top of the glass. We did use an oil based paint for the inside. Hope that helps! Your home looks great! Any chance you could share the manufacturer/model of your front door? Thanks! It is called Alexandria by DSA Doors. Hi Guys! Beautiful home! In looking at the plans it says there are four bedrooms… but I’m only seeing three! What am I missing? Is the library considered the fourth (possible) bedroom? Apologies in advance if it’s obvious and I missed it! Regarding your pool- is it a plaster pool? 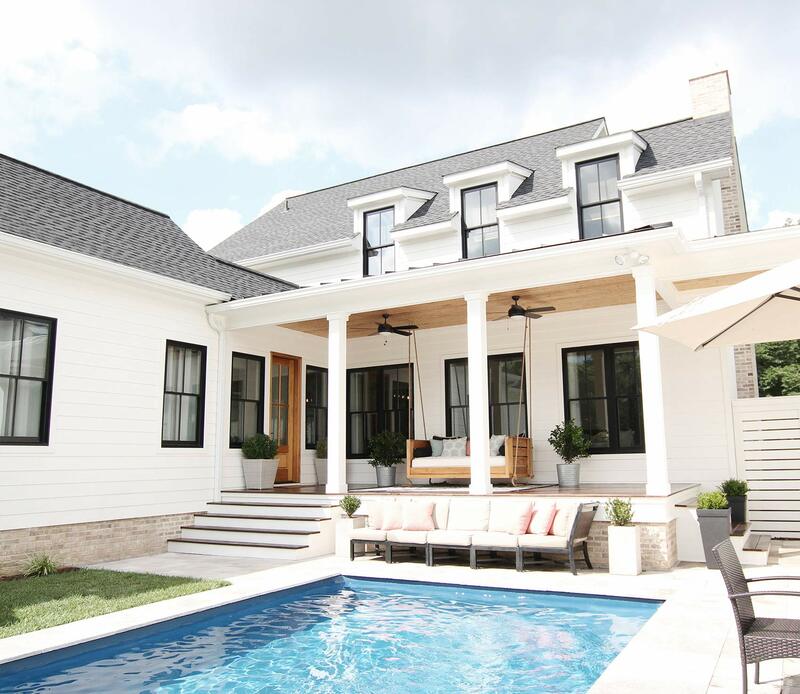 For some reason the pictures look different than plaster and I’m curious if it is a traditional in ground pool or if you opted for a vinyl pool? It looks fabulous either way! Thanks! It’s actually a fiberglass pool. My husband and I are absolutely in love with your swing bed! We have two questions for you! Do you have plans for this one? We found plans to make another one you did, but we adore this one and would love to make it for our front porch! Also, did you use the same stain color Minwax Polyshades Mission Oak? Hi Kellie. Thanks! Glad you like it. I’m afraid I haven’t written a tutorial on how to build this one. When I did this one, I just kinda made it up as I went. Lol. But I’ve had a few other people ask about it. So I might write a tutorial on how to build it. Yes, I think I used Mission Oak on that one as well. Hi! Beautiful home! We’re building our own farmhouse in NJ. Just wondering if you could share the manufacturer of your siding. Thanks!! Hi Myra. It’s James Hardie. I’m building a house in NY. Lookong for a garage door that is a true black. Is that black or an ebony wash? Hi Sabrina. We used a gel stain. The color is called Antique Black. 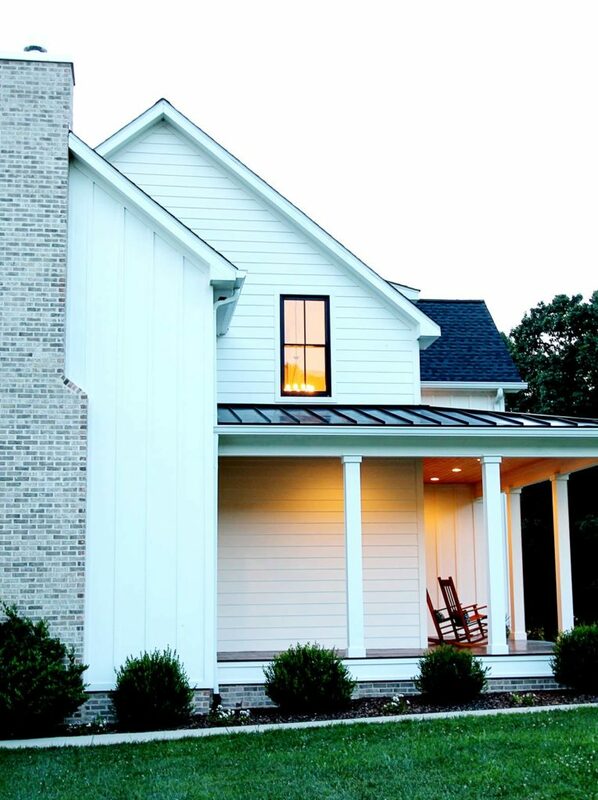 What brand of board and batten siding did you use for your home? We are building a barn and like the looks of the exterior. We are hoping to go with steel siding but can’t find any with long enough lengths to go with one run only. We used James Hardie board and batten. It’s a cement fiber product. Hi there! 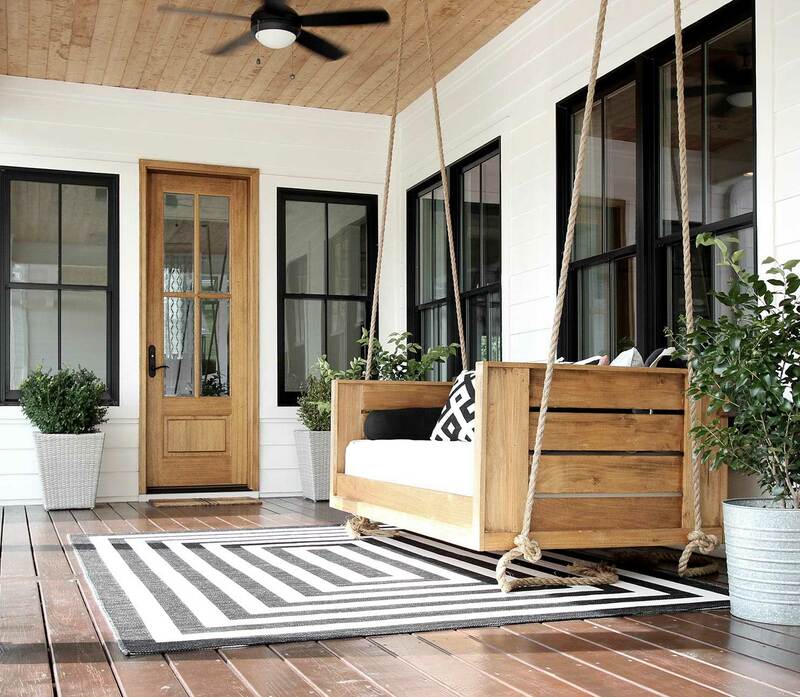 this porch is absolutely gorgeous! Where did you find that black and white rug!!??? Hello Jasmin! Thank you for the kind words! The rug is from Target and we purchased it last year.